We’ve all had storage issues on our favourite smart devices haven’t we? In fact it’s all of our own making. 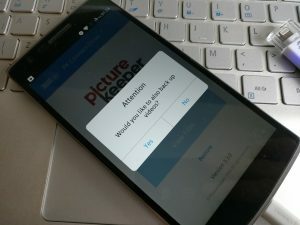 As consumers we’ve pushed and pushed for better cameras in our smartphones and with better cameras, comes larger resolutions or more data within the images, requiring more data storage use on our devices. Those who have been part of the sub 16GB storage crew will know the pain of running out of storage better than most. Picture Keeper Connect is here to help sort this out, in part. Let’s take a look. 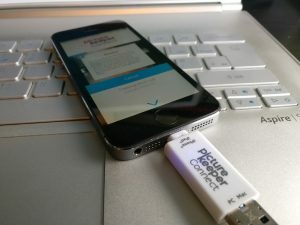 Picture Keeper Connect is as simply named as its intended use. 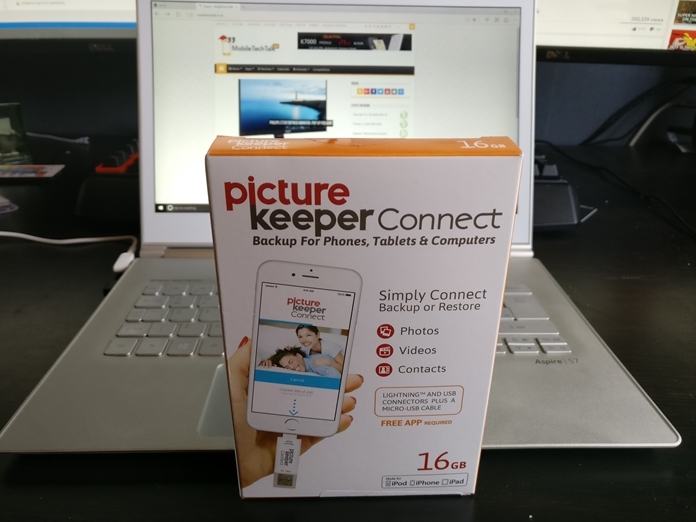 The main functions of this device and its companion app allows you to migrate your stored pictures and videos (as well as contacts) from your device to free up some space. 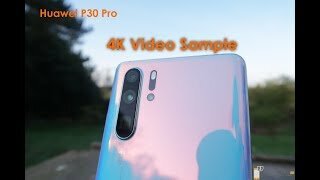 This unit is clearly aimed at the smartphone market but can be used with PC/Mac desktop operating systems too, in a similar way. 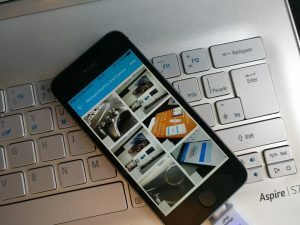 There are lots of Cloud services such as OneDrive, Dropbox and Google Photos that automatically upload taken snaps and videos, but most leave the local copy in situ. Of course you can go and manually delete the files, or use a setting in one of the aforementioned applications to tidy up some space, but if you have a dislike of public Cloud services, or have a nagging feeling you’ll accidentally delete the photo from everywhere, then you’ll want to give this a try. 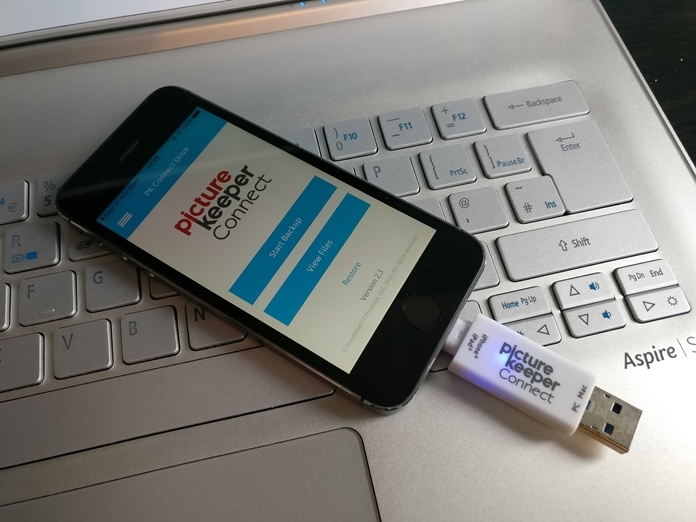 The device itself is no bigger than an average sized USB stick. There’s a good reason for that. It is a USB stick with some software on it. In this case, we’re looking at the 16GB version. 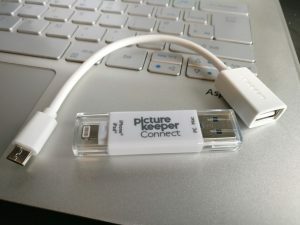 In the packaging comes the USB stick USB and Lightning connections on each end, a USB to microUSB OTG cable, and a quick start guide to get you up and running. 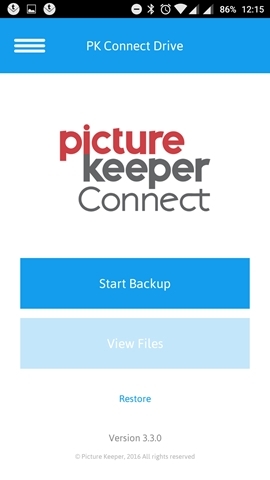 The first order of business is heading over to the App Store or Google Play Store to grab the required companion app, Picture Keeper Connect. 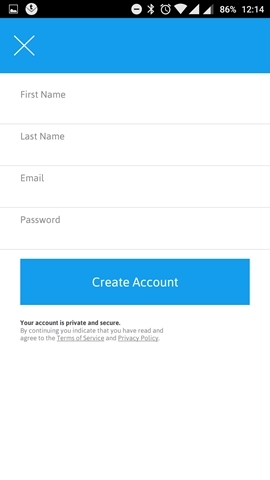 Fire up the app, create an account and then you’re good to go. One slightly annoying thing to note here is no sense checking for your password. Accidentally slip an additional keystroke in there and you’ll be reaching for the forgot password section pretty quick. 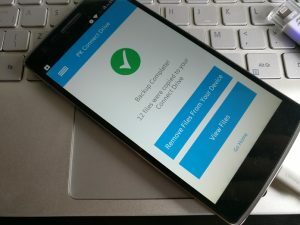 Password checking and two-factor authentication should be an option for any online service now we think. Grab your device, plus in either the USB stick into the Lightning connector of your iOS device, or use the OTG cable for Android devices, and the application immediately notes its existence. 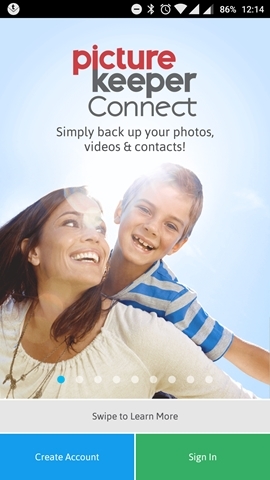 Hit the “Start Backup” button and follow the prompts, simple. 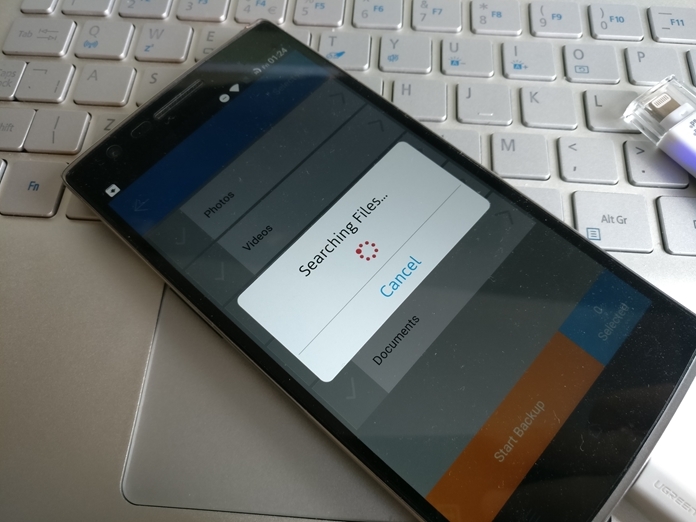 Once the backup has completed you’ll be asked if you want to retrieve that space by deleting the backed up files from your smartphone/device. 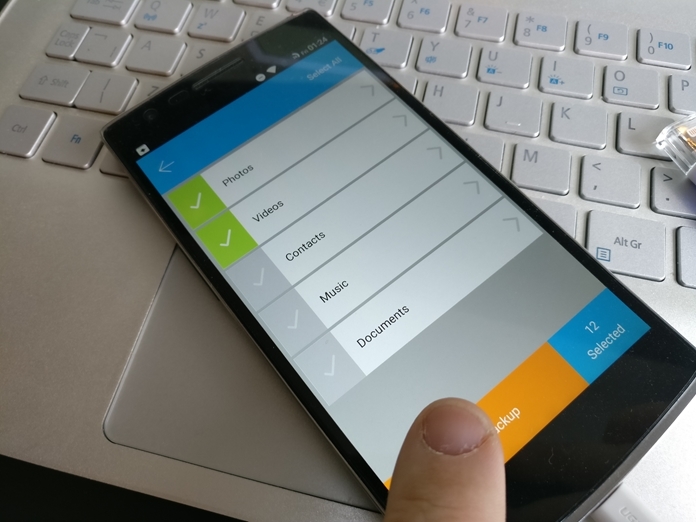 You can also view the files recently backed up, and by device too. Not only is it quick and efficient, you can look at the files backed up from any PC/Mac by placing the stick into the USB slot. We’d recommend this if they are important as the last thing you want to do is lose this stick, and with it, the recently backed up files! 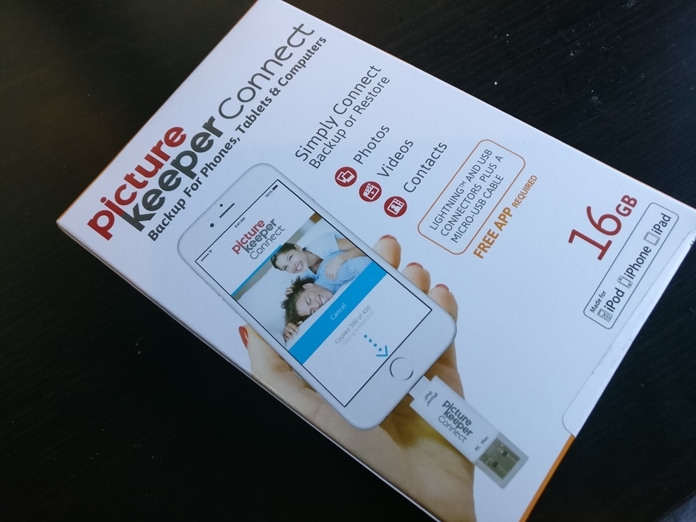 The 16GB version of Picture Keeper Connect is currently retailing for £112 with the 64GB storage option selling for £169.99 from Amazon UK right now. 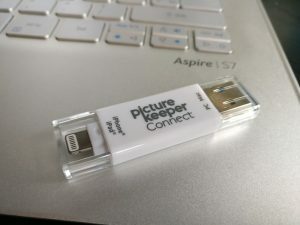 We’d suggest looking on the Picture Keeper Connect website for cheaper options! 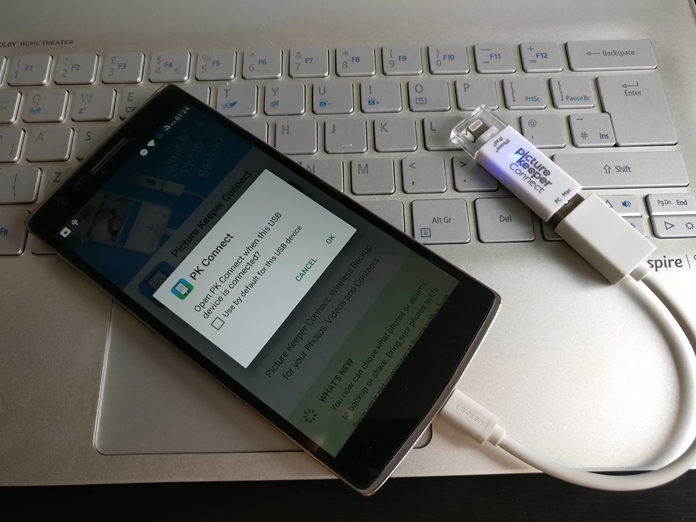 What you get for your money is an easy to use, portable device which can be used with any recent iOS device, and any Android device still sporting microUSB, as well as the software to enable the same sort of cleansing of any PC or Mac workstation you might have. From a simplicity perspective, this is just what the Doctor ordered as the devices that are most likely to be stuffed full of photos that have never been deleted or backed up might well be in the hands of those least tech savvy. So we know what you’re thinking. “Wait, can’t we just plug in any drive that’s USB OTG or Lightning port compatible?”. The answer is yes, yes you can, however the application will know that this isn’t a Picture Keeper Connect device and as if you want to continue using it. You’ll then be prompted to make an in-app purchase to enable that feature. Our suggestion? 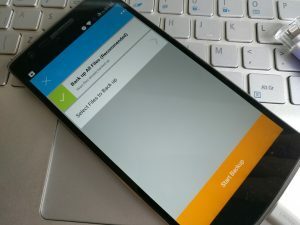 If you’re only bothered about backing up your smartphone(s), do exactly that! 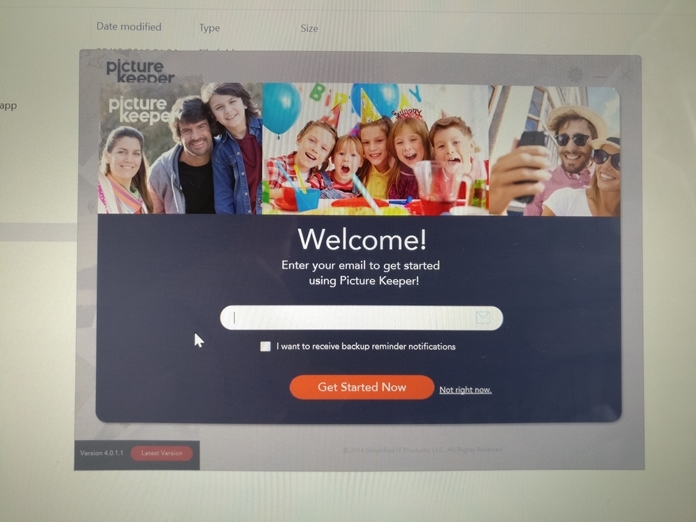 The Picture Keeper Connect software is very nice and intuitive and we recommend using it, but at a cost of £112 for the base model, you’re paying extortionate fees for the additional PC/Mac functionality. 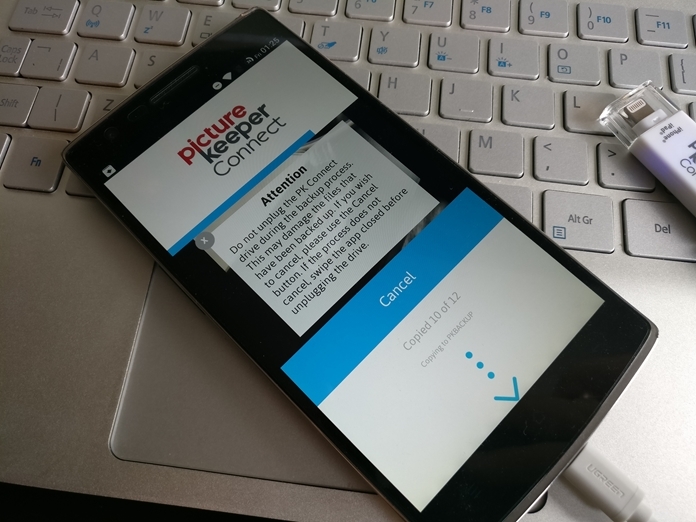 As you can see, you can simulate the same functionality, making use of the intuitive Picture Keeper Connect software, but utilising different hardware. However we’re sure you can see where the potential value add is. 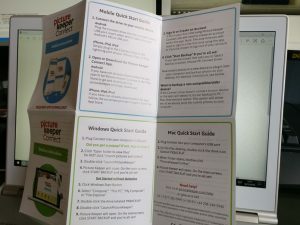 Firstly, it’s a compact piece of kit, not multiple pieces of tech to carry around, and secondly you get the PC/Mac software on the device itself so ensure that all devices (iOS, Android and PC/Mac) are taken care of. Is that worth the additional £20 (when purchasing from the Picture Keeper website including postage)? Perhaps for some. 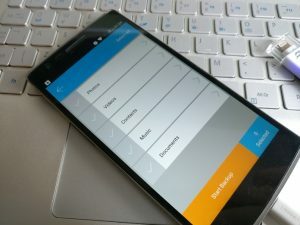 However, move up to the higher storage options and the argument becomes thinner. There’s no getting away from the fact that this gadget is brilliant for all those technophobes in your circle of family and friends. It does exactly what it says on the tin by freeing up the space taken up by years of photos and videos, and it covers aboth Android and iOS devices, with the exception of those using USB Type-C (be careful as some adapters don’t work, although a supported converter can be purchased from Picture Keeper). 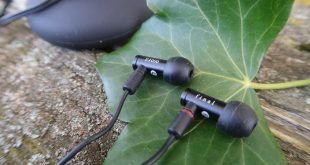 We’d recommend the 16GB model only if purchasing through Amazon UK as, via the GoodCompany, it’s just £55 including delivery, but we certainly cannot recommend the Amazon Prime-price of £112.99. 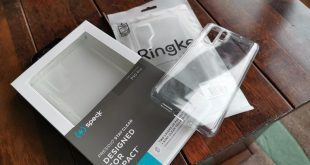 As you move up the storage solution tree, we similarly cannot recommend buying the full retail packages, and instead suggest buying the specific combination of products from the above list that you require. 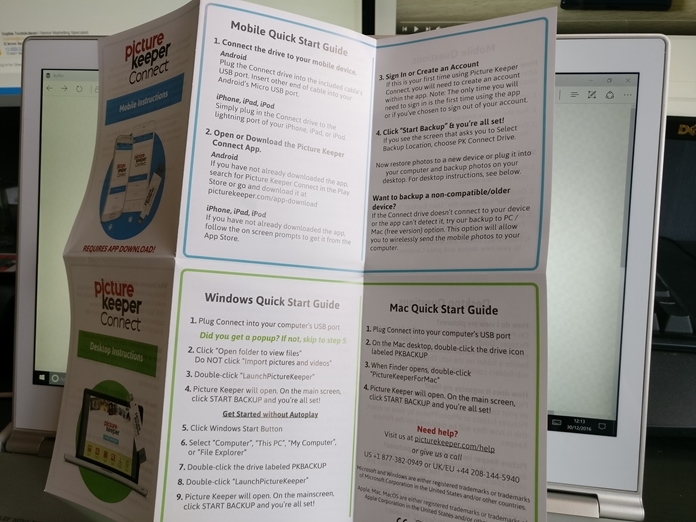 Here’s hoping Picture Keeper look at their pricing method, as from a software stance they’ve got it locked!